Earlier in my career I went to a job interview for an SEO Specialist position at an ecommerce software provider. Unbeknownst to me, I didn’t have nearly enough experience with search engine optimization (SEO). Unfortunately, I didn’t find this out until I was actually in the interview. It was… less than enjoyable, to say the least. Thankfully, that unpleasant event inspired me to learn as much about SEO as I possibly could. Fast forward a few years, and now my knowledge of SEO would blow my past self’s mind. SEO, particularly ecommerce SEO, has a lot of moving parts. So to help get you started on the right foot (and keep you from having to learn SEO the hard way), I’ve put together a guide on how to create an effective ecommerce SEO strategy via more robust keyword research. 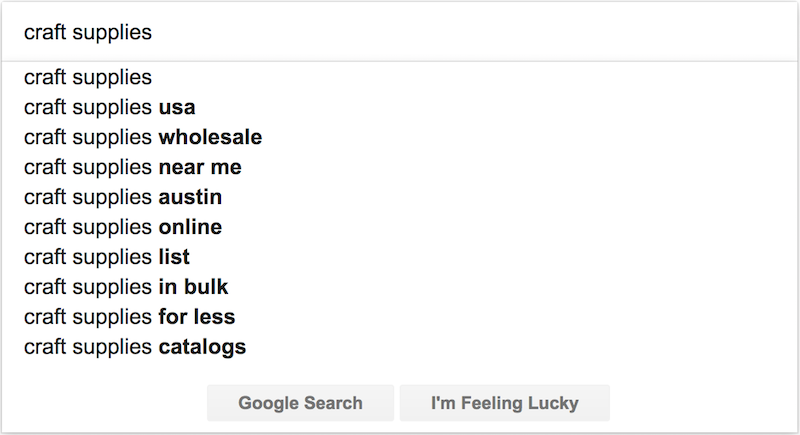 But if you want to do some prostyle keyword research, there are a handful of other, less common ways to build your list. Amazon search suggestions are kind of like a more enthusiastic version of Google’s autocomplete. And you’ll likely see some overlap between Google and Amazon when it comes to modifiers. But whereas Google autocomplete keeps things a bit more generic, Amazon tends to provide more detailed results. 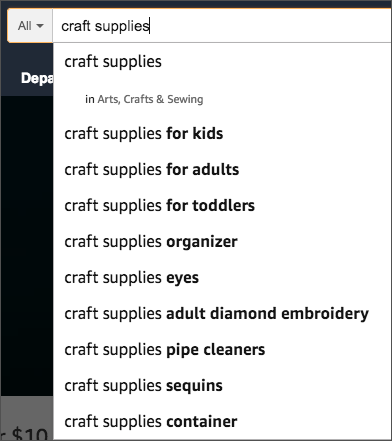 For example, Amazon not only lists items for particular age groups (craft supplies for kids/adults/toddlers) but also highly specific craft supplies, such as eyes, pipe cleaners, and sequins. Sometimes Amazon falls short as a keyword research tool. 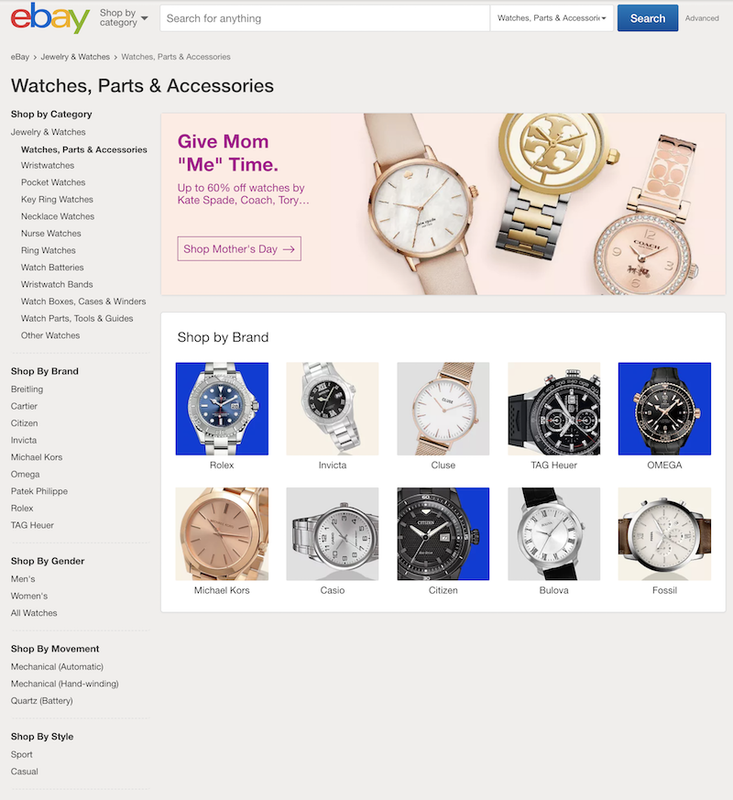 For example, it doesn’t have a main category page for watches. This means there’s not one central location you can consult for research on keywords related to watches. In this case, head on over to eBay. 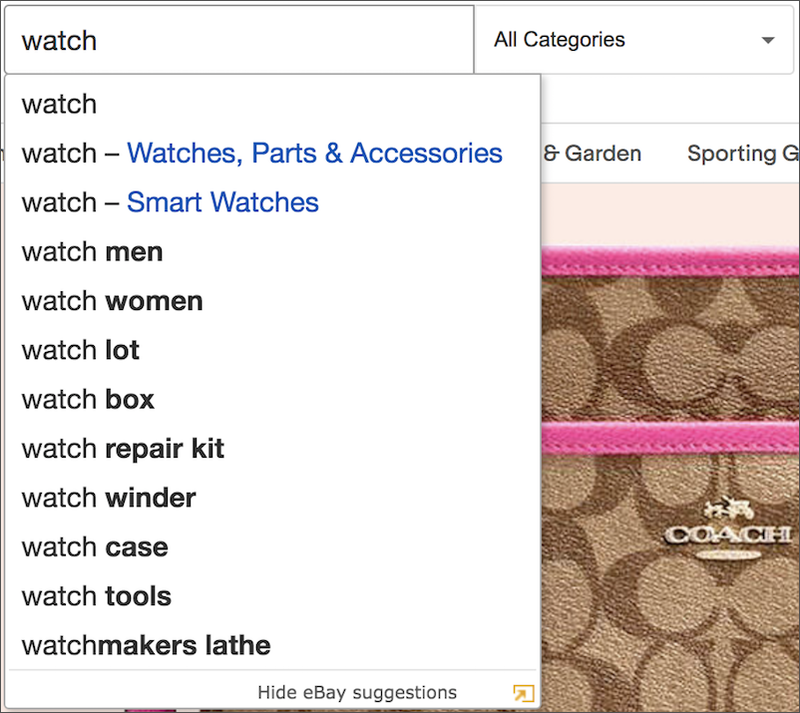 eBay’s Watches, Parts & Accessories page provides product category keyword ideas for both watches and accessories. It also has a list of popular brands to target. Remember: there’s a reason Amazon and eBay suggest those specific queries. It’s because their data shows that’s how shoppers search. Similarly, the way the retail giants organize products is a deliberate choice. They know that’s how customers want to see merchandise sorted. In other words, there is objective proof your ecommerce SEO strategy must involve targeting these keywords and using these categories. Forget for a second all of the bad things your teachers and professors had to say about Wikipedia. Because when it comes to researching keywords for your ecommerce SEO strategy, Wikipedia is a treasure trove. Take a look at all those wonderful keywords just waiting to be part of your website. 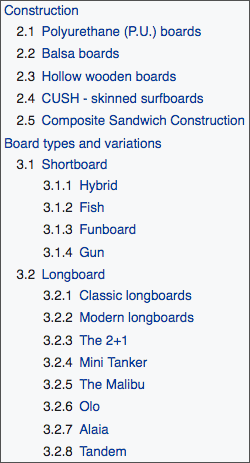 Wikipedia helps you discover the kinds of product details your audience cares about. Because who’s going to take the time to update a Wikipedia page if they aren’t passionate about the topic? Once you have your raw list of keywords, it’s time to pare that bad boy down. You should only optimize your website for the keywords it makes sense to target. Determining relevancy is entirely in your hands. No online tool can tell you with 100% accuracy if targeting a particular keyword makes sense for your store. But what I (and any other legit marketer) can tell you is this: don’t deliberately target irrelevant keywords simply because they have high search volume. Tricking a shopper into visiting your site by using keywords related to products you don’t even sell won’t end well for anyone. As far as finding out search volume and competition, use Google AdWords Keyword Planner. The Keyword Planner will show you the average monthly searches for any query as well as related phrases. This information helps prevent you from spending time and energy optimizing for a keyword no one actually searches for. Google’s Keyword Planner also gives you an idea of how many companies are using a keyword in their pay-per-click campaigns. Google refers to this as “competition”. If a keyword has high competition, it means that a lot of brands consider it valuable. Thus, it might make sense for you to optimize your site content for that keyword. However, because so many brands are going after a keyword, it also means it’ll potentially be rather difficult for you to rank for it on the search engine results pages (SERPs). Essentially, you need to be confident the amount of digital real estate you dedicate to a particular keyword will be worth the return. So you’ve got yourself a nice list of targeted, relevant, high-volume, medium-competition keywords. Now it’s time to start adding them to your website. There are two main locations your keywords need to be: metadata and site copy. The image file name and alt-text are primarily for search engines. But the page title and meta description are the first things a shopper sees on the SERPs before they actually visit your site. So you need to make sure not only to include the keywords but also make the title and meta description eye-catching. Promote special sales and discounts. Draw shoppers in and make them want to click. IMPORTANT: The way you use keywords should be natural. Don’t just throw a bunch of keywords in there with no rhyme or reason. 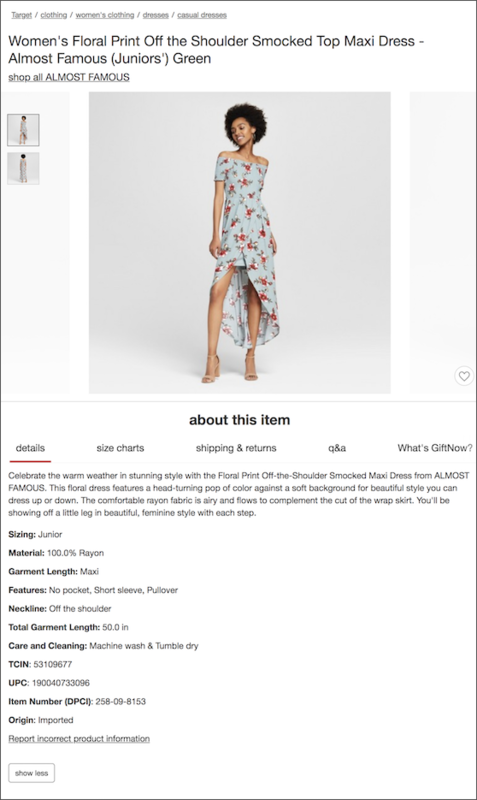 Macy’s uses both the exact search term as well as a slight variation in its copy. The page title is under the character limit and thus not truncated. The meta description sounds like a human wrote it and highlights the retailer’s free shipping offer. The page title exceeds character limit and is therefore cut off. The meta description is just a list of keywords, not an actual sentence. There are no special promotions or key differentiators highlighted. This is what a missing meta description looks like. Google has to put something beneath the page title. So if a page doesn’t have a meta description, Google just pulls in the first few lines of copy. While metadata isn’t nearly as important for ecommerce SEO as it used to be, it doesn’t mean you should ignore it. Each of the elements above should include relevant keywords and accurate summaries of the content it’s describing. 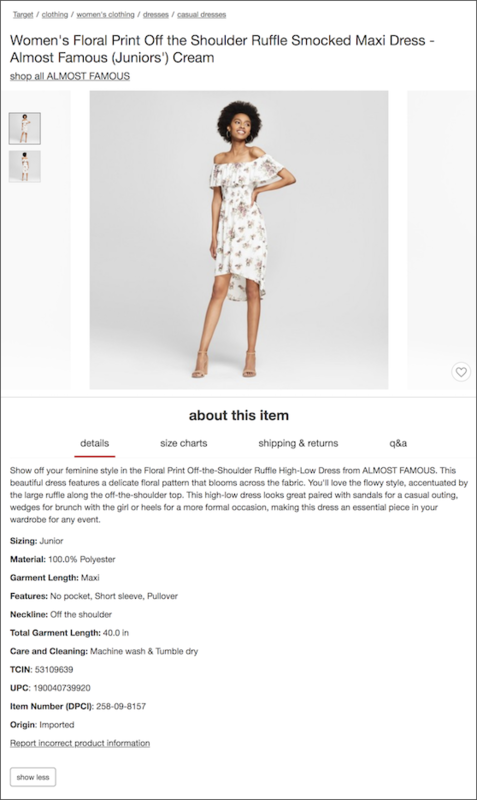 Product descriptions hold a ton of weight when it comes to ecommerce SEO. So this is where you really need to optimize. In addition to including the applicable keywords, you need to make sure each product description is unique. 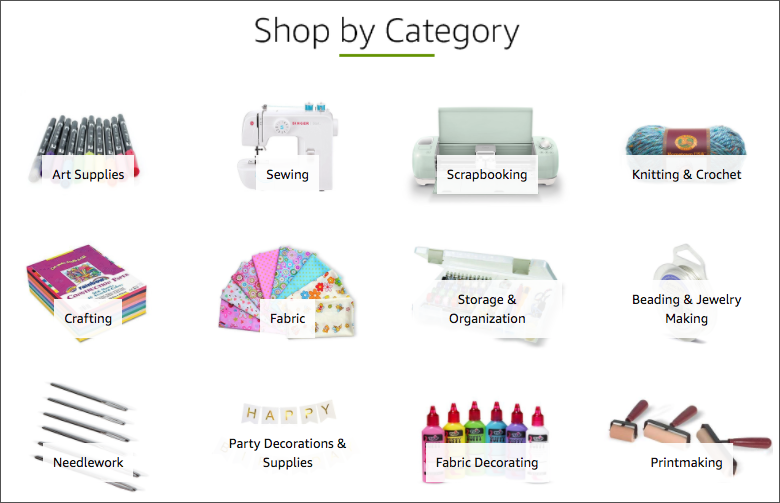 You may have a lot of similar products, which makes coming up with different descriptions for all of your merchandise difficult. But if you just copy and paste the same text for every product, you increase the risk of Google flagging your site for duplicate content, which really hurts your SEO. These two maxi dresses are pretty darn similar. Both have off the shoulder short sleeves with a floral print and are made by the same brand. But Target still manages to make the product descriptions distinct. Developing a strong ecommerce SEO strategy is definitely a major undertaking. But your ranking on the SERPs makes a huge difference when it comes to traffic and revenue. Just start by making the most impactful changes and then go from there. The sooner you begin, the easier it’ll be. Thank you so much for the kind words, Mukunda! Always glad to hear readers appreciate our content! thank you for sharing such a great article about what reasons we need a keywords strategy such as how It gives us a proper direction, cost-effective for competition etc. and how digital marketing changing our environment and also how local market affected by digital marketing this world is digital and the trends in the surrounding are changing day by day. I’m new to blogging and I’m going to follow every step. And try to find best keywords for my blog. Awesome Article Sir. Thank You ! Admin for this amazing post. I just got all the answers in this Article.